Cloud computing is probably the most cost-efficient method to use, maintain and upgrade. Traditional desktop software costs companies a lot in terms of finance. Adding up the licensing fees for multiple users can prove to be very expensive for the establishment concerned. The cloud, on the other hand, is available at much cheaper rates and hence, can significantly lower the company’s IT expenses. Besides, there are many one-time-payment, pay-as-you-go and other scalable options available, which makes it very reasonable for the company in question. In the cloud, software integration is usually something that occurs automatically. This means that you do not need to take additional efforts to customize and integrate your applications as per your preferences. This aspect usually takes care of itself. 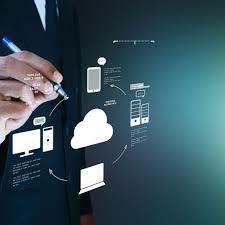 Not only that, cloud computing allows you to customize your options with great ease. Hence, you can handpick just those services and software applications that you think will best suit your particular enterprise. The other major issue while in the cloud is that of security issues. Before adopting this technology, you should know that you will be surrendering all your company’s sensitive information to a third-party cloud service provider. This could potentially put your company at great risk. Hence, you need to make absolutely sure that you choose the most reliable service provider, who will keep your information totally secure.